The French entered Egypt under Napoleon in 1798 but were defeated by the British and the Turks in 1801. In 1805, Ottoman (Albanian) Commander Muhammad Ali established a dynasty that ruled until 1952. The Suez Canal was built between 1859 and 1869. This project nearly bankrupted Egypt and led to a gradual British takeover. In 1882, British troops defeated the Egyptian army and took control of the country. In 1914, Britain formally made Egypt a British protectorate. This period was a golden age of science, but a dark time for Egypt. Archaeologists excavated at will but banned native Egyptians from the profession. The independent-minded Egyptians resisted the British through active and passive methods. In 1922, Egypt gained its independence, although British influence remained strong until 1953. In 1953, following a coup, the country became a republic. 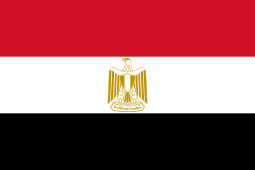 Today, Egypt’s official name is the Arab Republic of Egypt. Monuments: Mosque of Amr Ibn al-As, Muhammad Ali Mosque, Saladin Citadel on Pharaoh’s Island, The Citadel of Cairo, The Khanqah & Mausoleum of Sultan Faraj Ibn Barquq and The New Library of Alexandria.